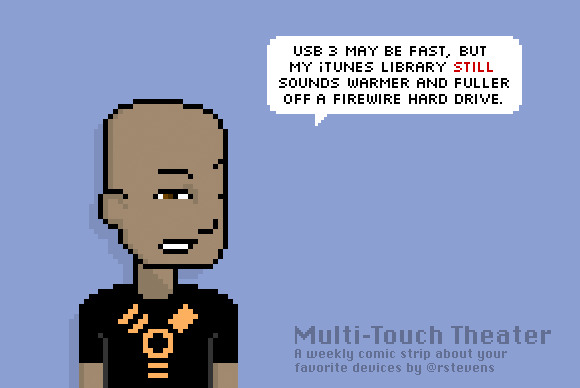 Comic: You down with USB? Macworld and Rich Stevens of Diesel Sweeties present Multitouch Theater, a weekly cartoon about Macs, iOS, and everything in-between. This week: You down with (reversible) USB? Previously on Multitouch Theater: The indie developer's life for me.